WASHINGTON - A deal on an overhaul of the North American Free Trade Agreement appears to be within reach, as Canada and the United States were set to continue negotiations Thursday aimed at getting the pact done by the end of the week. 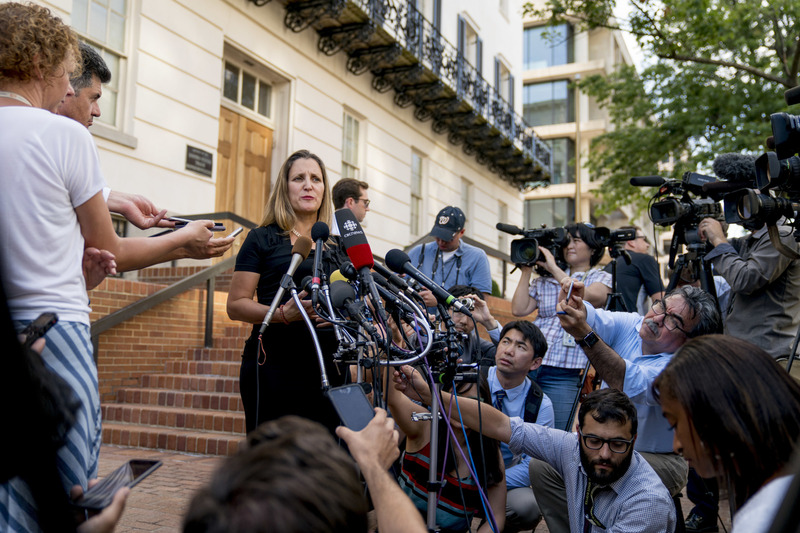 The two sides will resume their talks with a face-to-face between Canadian Foreign Minister Chrystia Freeland and U.S. Trade Representative Robert Lighthizer as they seek a breakthrough. Despite U.S. President Donald Trump’s threats to leave Canada on the sidelines after announcing a breakthrough with Mexico on Monday, Trump and Canadian Prime Minister Justin Trudeau expressed optimism a deal was close. The White House plans to notify Congress on Friday of its intention to enter into a new free trade agreement, to provide the required 90 days’ notice that would allow NAFTA 2.0 to be signed by Dec. 1, when Mexico will install a new president. But that will mean compromises on both sides on issues that have created friction between the neighboring countries, notably Canada’s dairy trade rules and mechanisms to settle disputes, as the leaders each try to claim victory. “I think Canada very much wants to make the deal,” he said, but again raised the possibility of doing a separate deal with Mexico. The crucial phase of talks began Tuesday continuing late into the night, and Trudeau expressed optimism the countries could reach agreement by the end of the week. Mexico paved the way by agreeing to a NAFTA 2.0 with the United States on Monday. If the White House notifies Congress by Friday, it then would have until Sept. 30 to submit the final NAFTA agreement. The sticking points between Ottawa and Washington likely will center on Canada’s managed dairy market and how to handle some disputes among NAFTA partners. 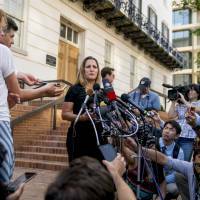 While critics said Canada had been frozen out, Freeland has repeatedly stressed that she remained in close touch with her U.S. and Mexican counterparts throughout the summer and had already achieved “a high-level agreement with the U.S.” on some the pending issues on autos and labor rights. Freeland praised Mexico’s willingness to make difficult concessions on auto trade and labor issues, which helped pave the way for a three-party agreement. The “significant compromises that Mexico was prepared to make to support Canadian workers … set the stage for very intensive conversations” to conclude NAFTA. Trudeau vowed not to give in to Washington’s demands to alter the system under which Ottawa sets dairy production quotas and prices, with steep tariffs on imports. But Ottawa could offer U.S. dairy farmers a small increase in market share as it did with the EU in a free trade pact last year, in exchange for U.S. concessions on the NAFTA chapter on dispute resolution.